Raging Waves Fitness Program – Start this week to earn a FREE admission pass. 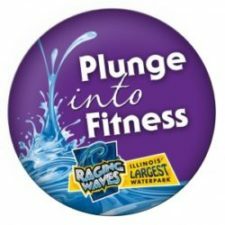 Students are invited to “Plunge into Fitness” this spring as Raging Waves Waterpark joins the battle against childhood obesity. Each student completing the program requirements between February 11th through April 5th will receive a FREE full day admission pass to Raging Waves, located in Yorkville. STUDENTS: Keep track of your exercise by coloring one item on the fitness log for every 30 minutes you exercise. Complete 25 hours of exercise between February 11th – April 5th. PARENTS/GUARDIANS: Print the log listed below and help track your child’s fitness, then sign the form and send it back to school or email to the School Coordinator, Deb (Galloway) Strama at dastrama@gmail.com by April 5th.